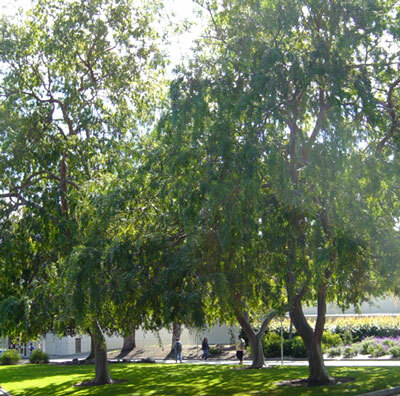 A hardy and useful medium-sized streetscaping tree that offers dense shade and attractive feature bark. Features: Hardiness. Feature bark. Dense shade. 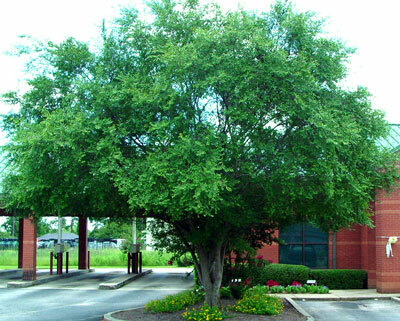 Applications: Shade tree, street tree, gardens, parks, verges. 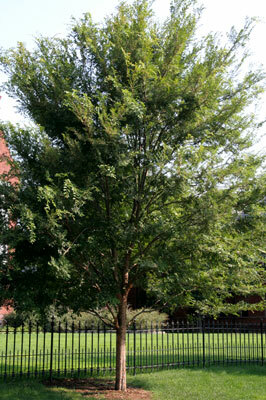 Description Enjoying full sun, tolerating poor soils and generally harsh sites, the Chinese Elm is a versatile tree. 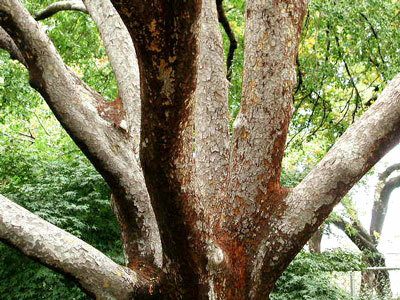 With its thick deep-green canopy and attractive bark, peeling in various shades and patches it is a beautiful addition to any garden, landscape or streetscape. Its adaptability extends to the demands of an urban environment (air pollution, compaction) so it is a suitable choice for carparks, verges or street plantings. Autumn colour is usually yellow. With its known resistance to the Dutch Elm disease, healthy specimens can also be seen tolerating coastal conditions. Canopy: Some variation, but often dense and/or broadly spreading. Dense shade (seasonal). Cautions: Some variability exists between specimens. Intolerant of root disturbance. Dislikes very alkaline soils. Tolerances: Urban environments - air pollution and compaction. Harsh sites. Poor soils. Soil demands: Tolerates most well-drained soils but dislikes very alkaline soils.